One gorgeous model (Irina Shayk) + cool photographer (Michael Raveney) + Dominican white sands and high palms + incredibly talented team of Love Republic…. and you get the hottest advertising campaign ever! Enjoy the new shooting produced by Andy Fiord Production team on the coast of Saona Island in the Caribbean Sea! 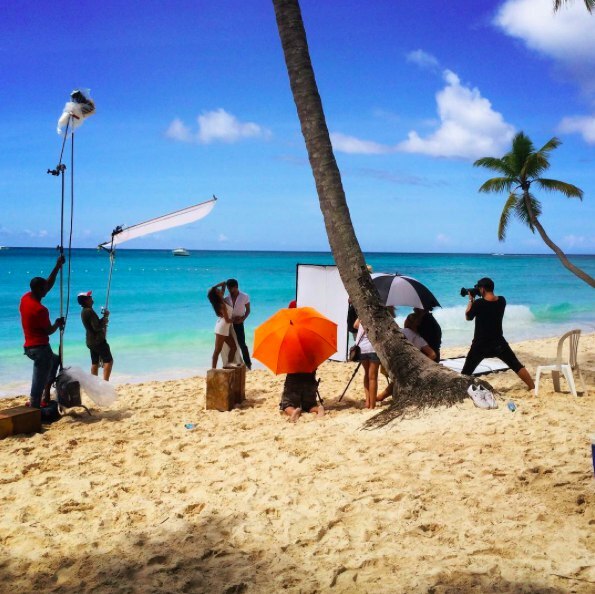 Behind-the-schenes photos from our shooting with Love Republic in Dominicana! Where is the most perfect place to shoot your advertising campaign “like the Bounty commercial”? And, of course, gorgeous Irina Shayk in the stunning dresses by Love Republic! All together they became an amazing picture that will warm us and the brand’s clients in anticipation of a hot summer! We’re so excited to show you the new campaign for Love Republic brand with stunning Irina Shayk! The shooting was held in one of the most beautiful palaces of St. Petersburg – Yusupov Palace, which became a perfect scenery for the new striking and sensual collection created by Love Republic!